I was not your average teenager obsessed with boy bands and the latest hair clip fashions (I was a teen in the 2000s — hair clip fashion was a thing). Instead, my adolescent attention was drawn to slightly… nerdier pursuits. Namely: the “Lord of the Rings” trilogy. I saw “Fellowship of the Ring” when it came out in 2001, and soon began reading anything and everything Tolkien-related that I could get my hands on. 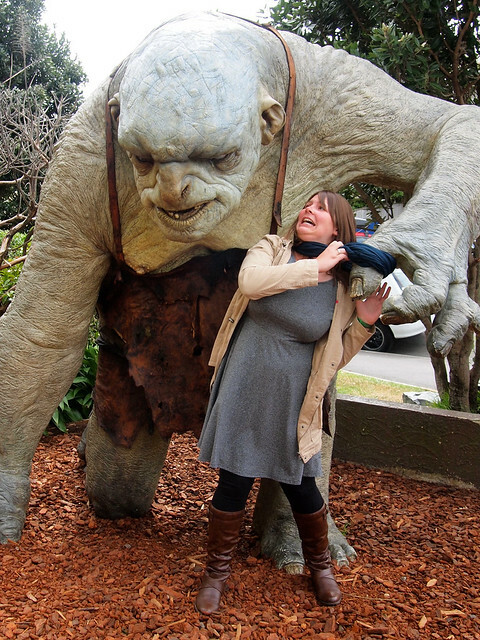 I also made it a life mission to visit New Zealand, the REAL home of Middle-Earth. 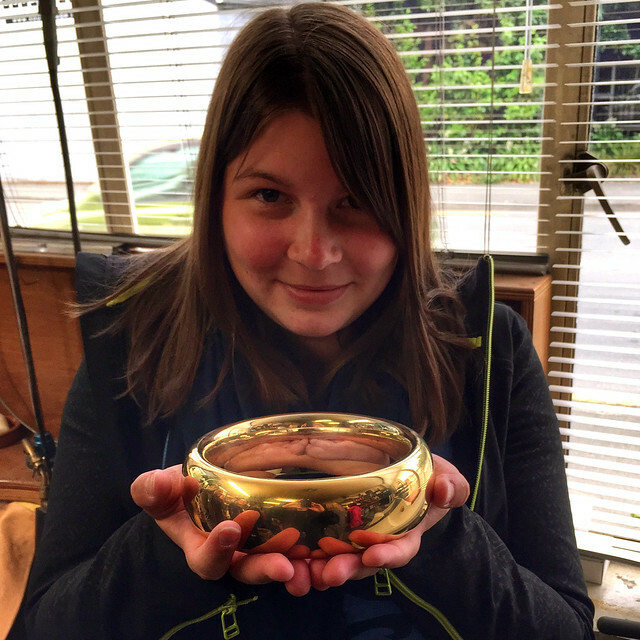 All through high school I saved up money from part-time jobs, holidays, birthdays, etc., so that I could go to Middle-Earth and be a hobbit. Or, more specifically, so I could go on a that I read about online. 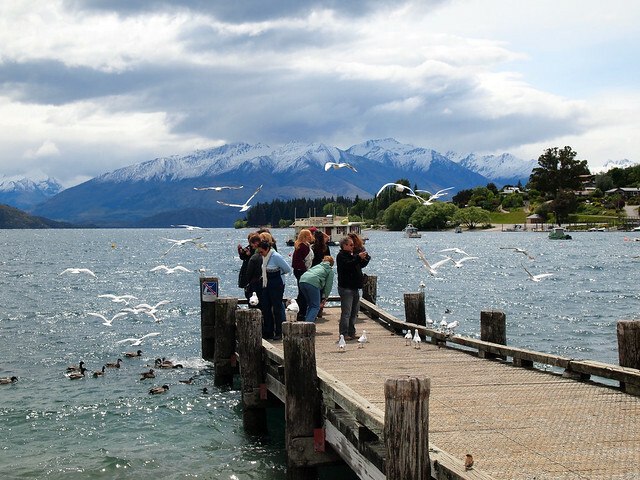 The tour was offered by — the first and most comprehensive “Lord of the Rings” tour company in New Zealand — and when I finally went in 2005, it was everything I hoped it would be and more. 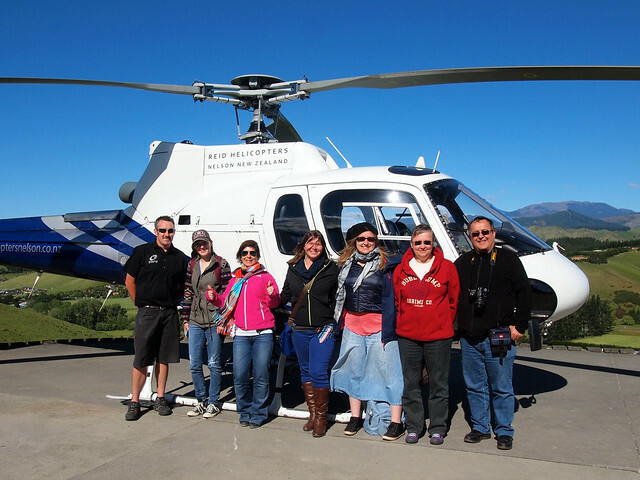 And now, a decade later, Red Carpet Tours is still offering the BEST “Lord of the Rings” and “Hobbit” tours in New Zealand. After keeping in touch with the company's owners over the years (they're seriously like the aunt and uncle you never knew you had), I was lucky enough to get to experience a Red Carpet Tour for a second time in 2014, and let me tell you: they've only gotten better. 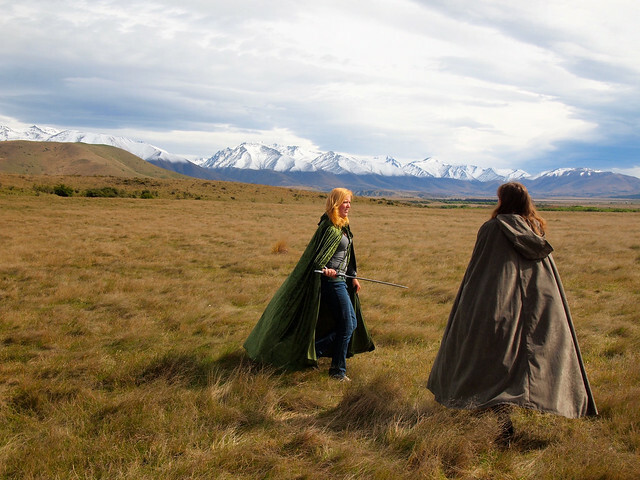 If you're a fan of Middle-Earth at all, this is definitely a tour you want to know about. If you're curious about traveling with Red Carpet Tours and wondering if it's worth it, read on to have all your questions answered! 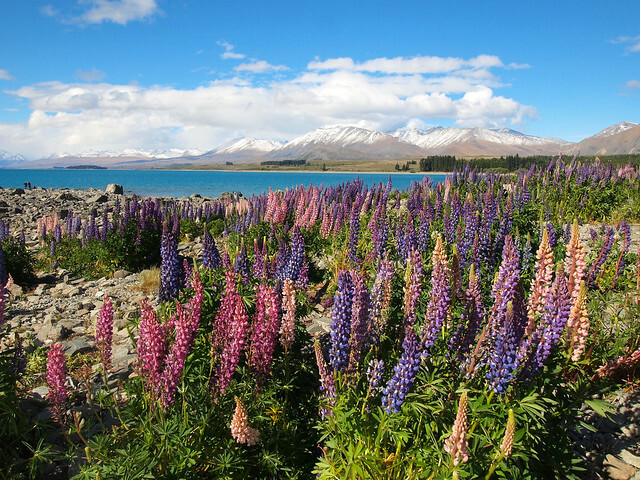 The 14-day tour starts in Auckland (at the top of the North Island) and ends in Queenstown (at the bottom of the South Island), meaning you cover a lot of ground in just two weeks. 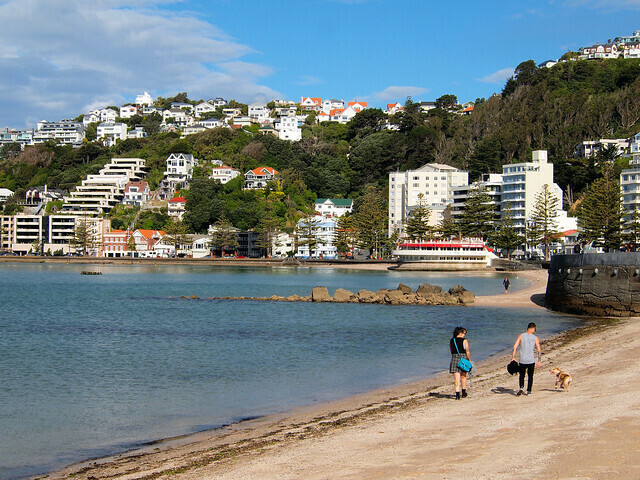 You're in a new town nearly every night, with the exception of 3 nights in Wellington and 3 nights in Queenstown. The pace may be fast, but it's worth it to get to see all the great locations included on this tour. It's hard to explain the types of people who go on these tours, but they're NOT the typical “geek” stereotype many people automatically picture when they hear “Lord of the Rings tour.” Sure, a couple people may have costumes or cloaks in their luggage, and others may spend a ton of money on Weta replicas and souvenirs… but most are really cool, normal people. We had multiple countries represented in our group, including Canada, Australia, the US, England, France, the Netherlands, Germany, Singapore, and even Luxembourg! The ages ranged from 10 to the 60s/70s range, though I'd say the average hovered somewhere between 25 and 30. This was actually a surprise to me — I was impressed by how many 20-somethings saved up for an epic trip like this! The first time I went on this tour (back in 2005), there were 9 people in our “fellowship.” But, with “Lord of the Rings” tourism booming again after the “Hobbit” movies, the tour groups are larger these days. My group was 29 people ( our tour guide and driver). With specialty tours like this, there's always the fear that you'll get stuck with a guide who isn't a fan and who just looks at their job as a job. Well not with this company. Red Carpet Tours is a family-owned and operated company, meaning you'll usually be guided by Vic James or his daughter Julie. They are as big of “Lord of the Rings” fans as anyone on tour, so you can be sure that the passion is there, no matter who is guiding. They are fans first and foremost, meaning they know exactly what you're hoping to see and do on this once-in-a-lifetime tour. Me with Julie and stunt man Shane Rangi. As the groups get larger, so does the transport. We were on a large coach for this tour — larger than we needed, meaning it was pretty easy to spread out. Our driver, Craig, was a wealth of information about New Zealand, and Julie would often pop in “Lord of the Rings” DVDs or behind-the-scenes extras from “The Hobbit” on longer drives. The bus made frequent stops, too, so long travel days didn't usually feel long. The buses usually have wifi, too (though, like with nearly all wifi in New Zealand, you have to pay for it). 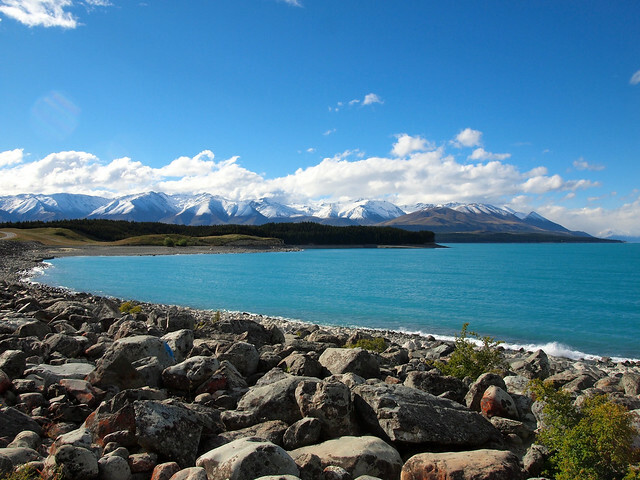 The tour also includes a ferry crossing between the North and the South islands. I LOVE that this is part of the tour, because this crossing is stunning! The accommodations on this tour are all in 4-star hotels. I had no complaints at all — in fact, some of them (like the Amora in Wellington) were far nicer than I would usually expect from a group tour like this! The hotels are all centrally-located, too, and most have at least one restaurant on-site. A good number of meals are included in the tour (all breakfasts, 4 dinners, and 1 or 2 lunches), and the guides will often book group dinners for anybody interested. You certainly don't HAVE to eat with the rest of the group, though — you're free to do your own thing most every evening. 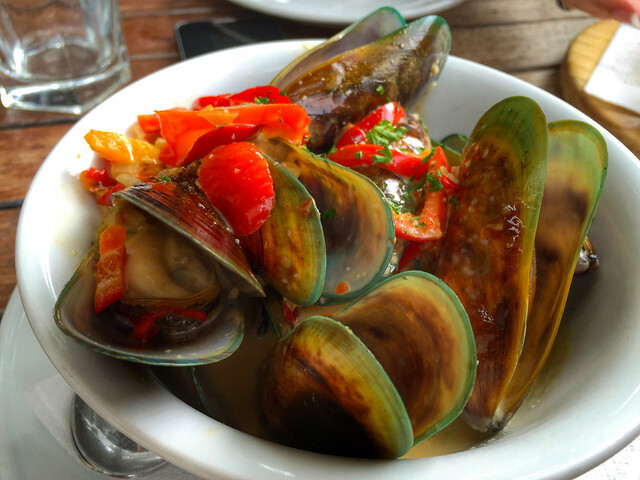 The food in New Zealand isn't exactly exotic, but there are a few things I definitely recommend trying: like green-lipped mussels and venison (which they actually farm in New Zealand, so it's incredibly tender and delicious). You can also try local lamb/mutton, and any seafood you order is usually guaranteed to be fresh, too. 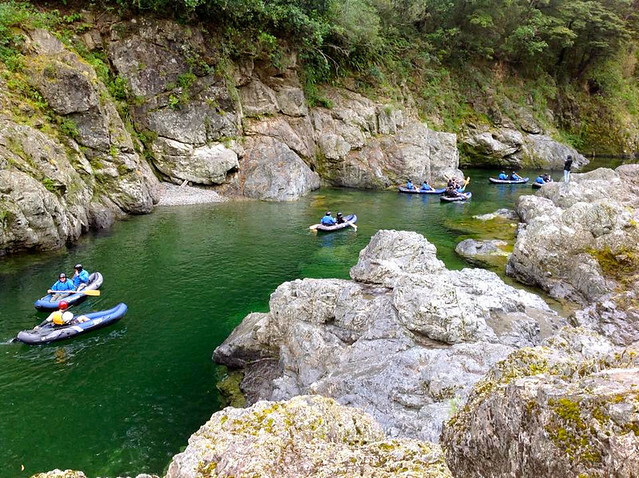 This tour is JAM-PACKED with cool activities — and not ALL of them are Middle-Earth-related. Yes, this tour was made for fans. But I feel like even non-fans would enjoy it. Because of the relationships they've built with property owners, Weta employees, and even actors over the years, Red Carpet has access to places and people that you simply can't get as a normal tourist in New Zealand. 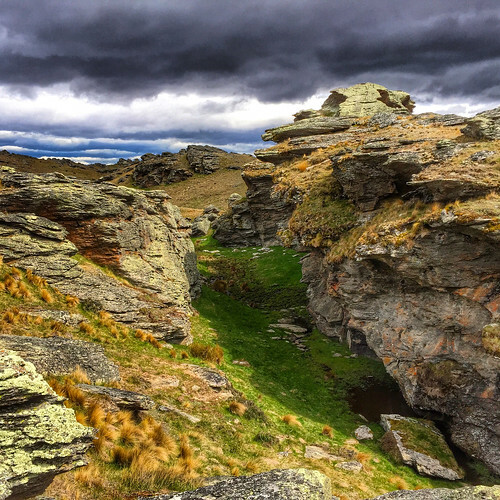 For example, you won't find places like the Pelennor Fields or Leaf Brooch Canyon on your own — they are located on private land, and the owners only come out to meet people traveling with Red Carpet. Similarly, you'll get to meet all sort of people in Wellington, from calligrapher Daniel Reeve to Thorin's stunt double to people who were extras in the films. Once I even got to go with a Red Carpet group into the boardroom at Weta to hold their Academy Awards. 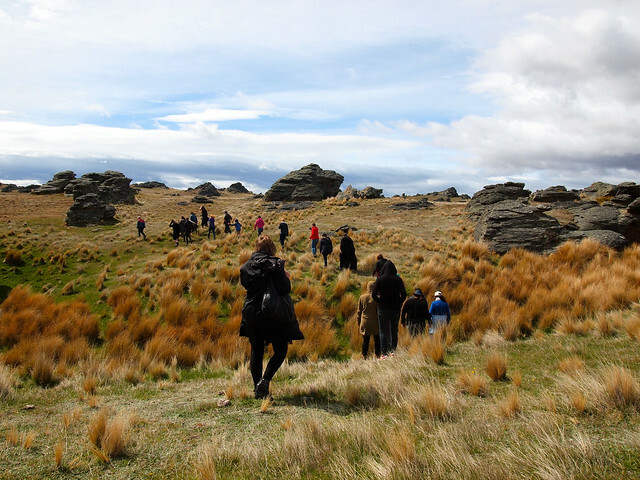 And when you go to places that normal tourists CAN visit (like Edoras and some of the sites around Queenstown like the “Breaking of the Fellowship” lake), you get the added bonus of being with an expert guide who knows all sorts of extra stories and tidbits about the locations and the filming that happened there. Plus, you don't just go up and SEE the locations. You spend time out in the elements actually interacting with them. You hike to the top of Edoras. You dance on the Party Field in Hobbiton. 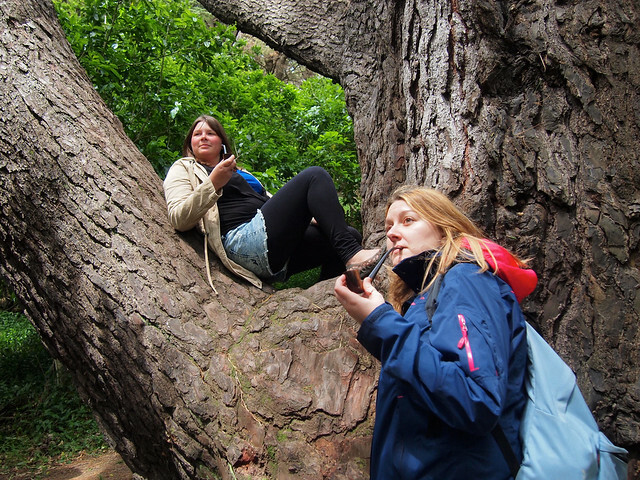 You climb trees and run through canyons and re-enact battles. This isn't just a bus tour with a handful of photo stops — you can get as involved with the locations as you want. With a large, fast-paced tour like this, you are always going to sacrifice some flexibility and independence. But that's kind of a given with a group tour like this. The days also start EARLY on this tour — you usually have to be on the bus between 7 and 8 a.m., and you often don't get to your evening destination until around dinner time. You usually have evenings free, though. And you get free time in the places that matter, like Wellington and Queenstown. I LOVE Julie and Vic (and his wife Raewyn) and admire the dedication they have towards this company. It really shows. They are always trying to make the experience better, and they have some serious connections (for example, there will be even more actors, stunt performers, and Weta artists included in 2015 tours and beyond). 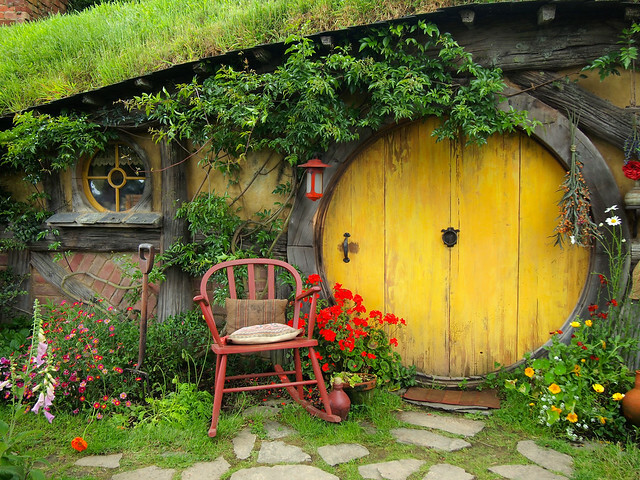 If you are even the slightest “Lord of the Rings” fan and want to see New Zealand, then this is the absolute perfect way to do it. 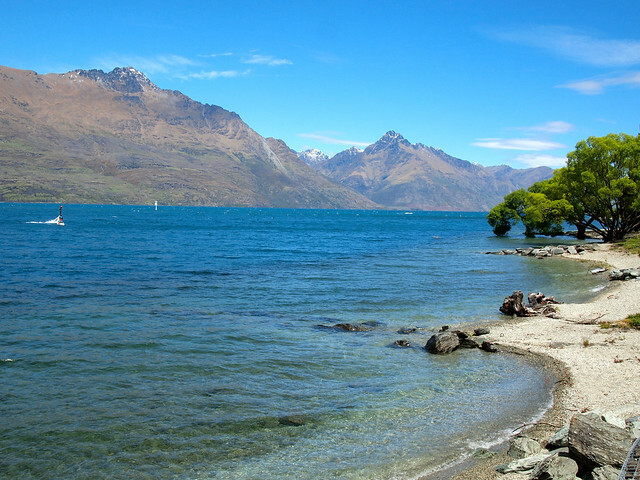 to check out this 14-day Lord of the Rings Tour of New Zealand with Red Carpet Tours. 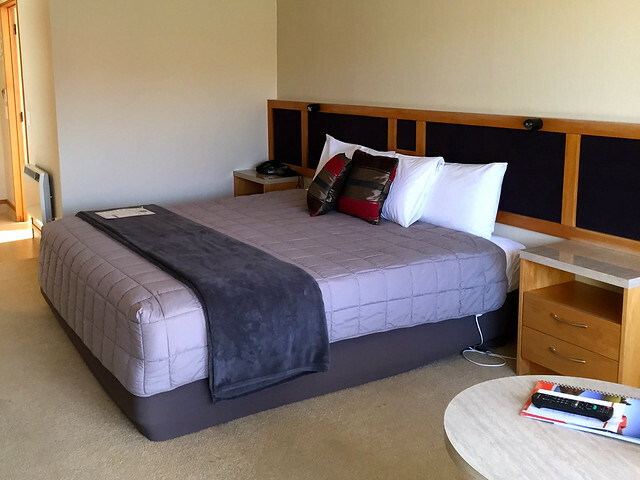 Looking for packing suggestions for New Zealand? Head over to my New Zealand packing list to see all my favorite travel gear! Is this a tour YOU would consider in New Zealand? 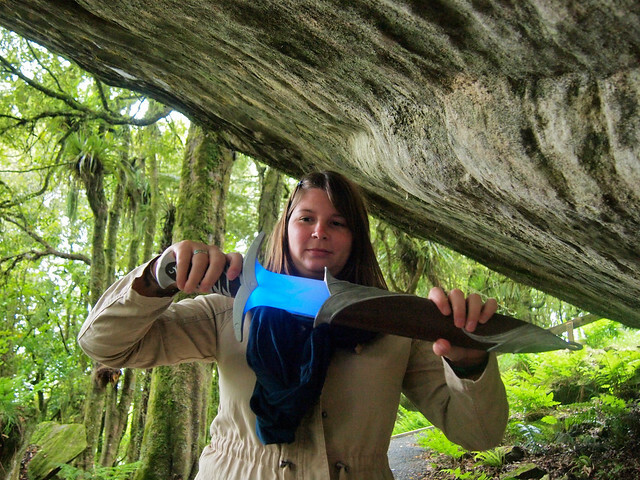 *Note: I received a complimentary 14-day Lord of the Rings tour with Red Carpet Tours. As always, though, all opinions are my own. And, in this case, I really do LOVE this company — this was my second tour with them, after all! Oh wow! That will be an epic trip! But yeah… two weeks off the bike might be a nice break! 😉 If you’re a Lord of the Rings fan, this is hands-down the best tour out there! This sounds so ridiculously amazing, but I can’t imagine being able to afford it! 🙁 That’s some SERIOUS saving to do lol. It is, but it is SO worth it! I was really impressed at the number of young Aussies on the tour with me – many of them did what I did back in high school: saved up for a couple years just to go on this trip! It’s definitely one of those once-in-a-lifetime-type experiences, though, and I don’t think you would regret it! It always cracks me up how New Zealand actually stole Lord Of The Rings from the UK. The whole story was inspired by the industrial revolution, mining and the so-called black country in Birmingham and surrounding areas. That’s the real middle earth. I am huge fan of Lord of the Rings (not so much of the hobbit). It’s fun reading about all these locations. I actually promised myself that I am going to watch LOTR again, so I can recognize some locations I have already visited in NZ and look for some that I still want to see. I’m glad it was filmed in New Zealand, though. I mean, yes, the UK has some incredible landscapes. 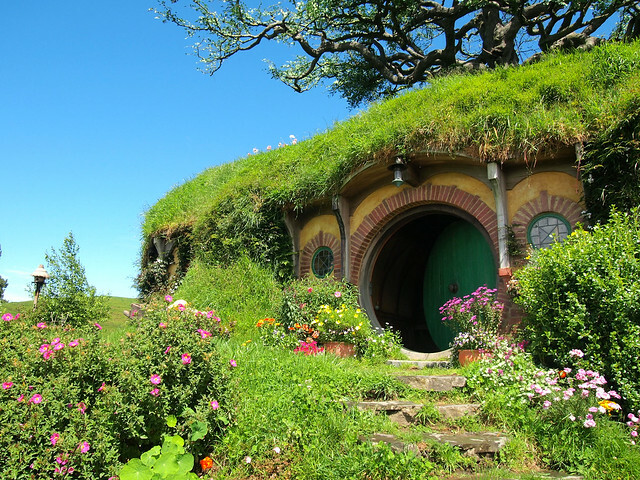 But NZ is such a special place, and the movies really DID help people become more aware of it as a travel destination! I envy you, I too am a HUGE LOTR fan and that is the trip of a lifetime! But what about second breakfast? Elevenses? JK, JK – this tour sounds amazing! Wow! Even though I don’t know much about the Lord of the rings, I still want to explore the same trail. It looks and sounds so exciting! 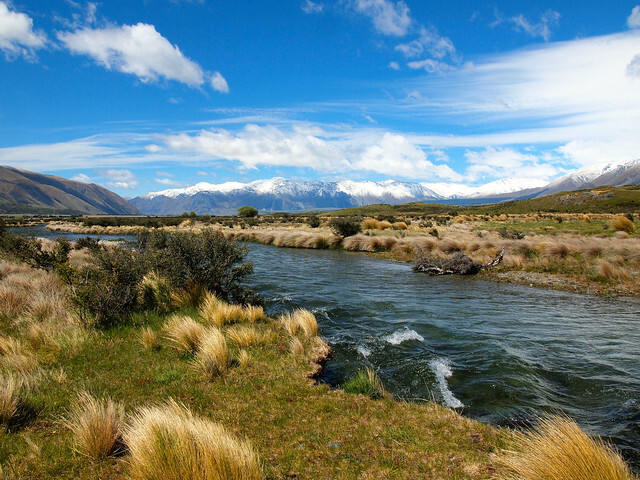 New Zealand is a land for nature lovers. 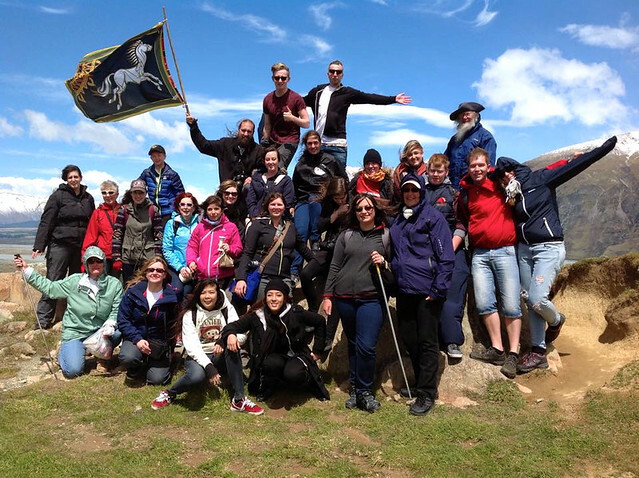 There were some people on the tour who weren’t huge Lord of the Rings fans (i.e. spouses or mothers of huge fans), but they all loved it anyway! New Zealand is special that way. It was SO MUCH fun. 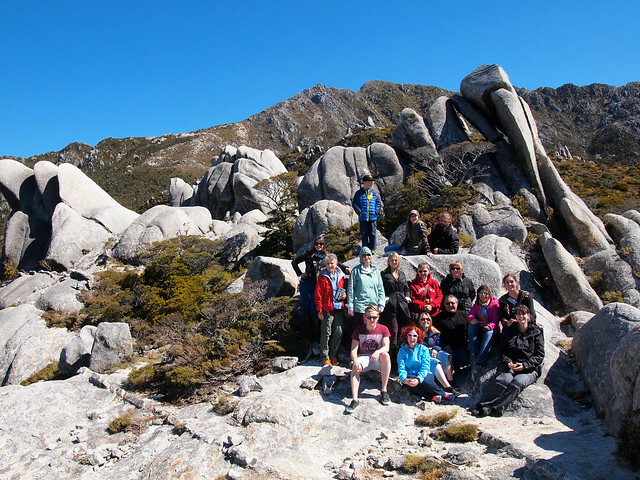 Really fun group of people, and of course New Zealand is always incredible! This all looks like crazy fun but mainly I’m leaving a comment because your expression in the picture of you holding the ring is positively devious and really made me crack up. Thanks! I had a lot of fun making the video. I loved visiting some of the LOTR sites in New Zealand. We never made it to Hobbiton though and I wish we did! I must go back to NZ soon! Aw you most definitely need to go to Hobbiton next time! It’s so much fun. Is this a tour I would consider in New Zealand? I sure would! I’m a British person and of course, we all read The Hobbit & Lord of the Rings as children, as it’s a British story so to speak. But, I’m hugely pleased that the film was made in NZ because NZ is what the English country-side looked like at the time, or at least, the nostalgia of it as Tolkien was in the War. What’s even more pleasing, is that the original illistrator of the books (Alan Lee) continued to illustrate, consult and even help to construct objects, and advice the Weta Workshop people. Lord of the Rings has always been an extremely difficult book to film and none had been particularly successful until Peter Jackson came along. New Zealand couldn’t have been a better choice, and I think they stayed true to the images of Tolkien, not that he was particularly bothered, as he was sceptical if “ordinary” people would understand what his books were actually about LOL…! Haha, yeah, I have no clue what Tolkien would have thought of the films, but I think Peter Jackson and team did a phenomenal job of bringing the story to life. I, too, love that he brought in Alan Lee and John Howe to help with all the conceptual work – he was definitely dedicated to making it all feel as “real” as possible. And yes, New Zealand was such a great place to film it! It really IS the closest you can get to Middle-Earth in real life. I agree! Love the round doors. How amazing it that! I am not a big fan of the Lord of the Ring, but I have seen the movies and liked them. Seeing those landscapes for real is just something that must be breathtaking! What a nice trip! Yes, seeing the landscapes in real life is definitely special! Hello~This tour is amazing!I heard about this tour months ago but I am still get confused of several questions,such as how to pay for this tour(payment routine)and do I need to sign on a contract of this tour?Thanks very much! If you go to their website, you can send them an email with your questions! They have payment plans, though, and accept payment several different ways. Hi Akatuki! I know this post was a couple years ago now, but I just stumbled upon it on Pinterest and I am determined to go on this trip! I don’t know if you’re going to see this, but I was curious how their meals were. I’m Vegan and have a hard time finding vegan options when I travel. I’m worried a group trip would be slightly more difficult because they may have specific items they feed you. Other than breakfasts, a lot of meals are kind of on your own – but if you let them know about your dietary needs they should certainly be able to accommodate you! My husband and I just booked our tour in December 2019. Awesome! You’re going to love it! My wife and I are coming to New Zealand in October 2019 and I am very interested in this tour. My wife had surgery recently and can have some trouble walking long distances. Will this be a problem? Hi John! 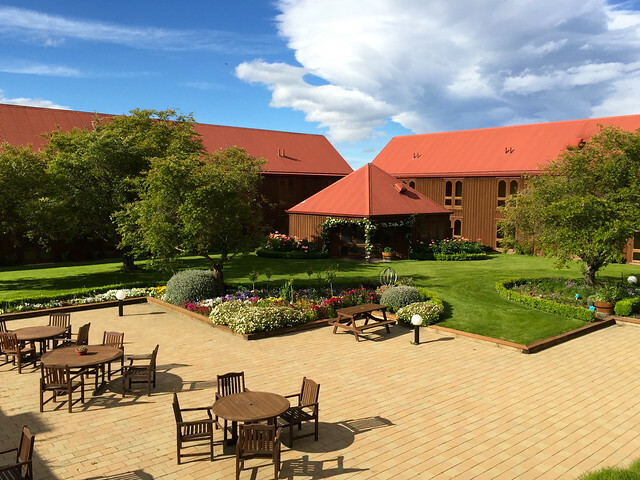 There are some sites you visit that require some walking, but if you get in touch with the folks at Red Carpet Tours (I’m not associated with the company at all), I’m sure they can advise you better as to how they might be able to accommodate you! We are retired (later 60’s) and big LOTR fans. Definitely concerned about being in a group of mainly 20-30 year olds….and not fitting in. Advice? The groups tend to cover a broad range of ages. Plus, when you all share a common interest, I find that age matters far less!